Waddon Fever Hospital - a Memory of Croydon. I was also in this Fever Hospital with Scarlet Fever for three weeks I was 9 or 10. I clearly remember being rushed there in an ambulance wrapped tightly in a blanket with a bag of sweets stuffed down my front. I felt very bewildered by the whole experience. I recall the nurses were very kind but the food was not so good. A big box of oranges was sent in by one of my uncles which felt very special as I saw no visitors. The oranges were shared amongst us all which was hard. I had the other children to keep company with as I got better. Until today, I have never known where the hospital was. I discover the site is now occupied by Ikea, amongst other stores.. well, I have been there a few times! I now live in Farnham in Surrey. We used to swim regularly at the Purley Way Lido jumping off the high boards. Little did I realise I was having all that fun so close to somewhere I had been so ill.
A memory shared by Anne Chadwick on Apr 29th, 2013. Send Anne Chadwick a message. Your comment on the Waddon Hospital brought back memories. I too was there at aged 5 in 1949 with scarlet fever. I thought it was called the "isolation" hospital. I was there for 5 weeks and could only see my parents through a window all that time. I also remember that I had my favourite bear with me but he had to be left behind. I was in a children's ward but I don't remember much about the food. I lived over Wallington Fire Station at that time, BUT was born in Farnham and lived in Broomleaf Road in 1944, but lived in Reigate, before emigrating to Canada in 1967. I now live in Montreal, but have been back to the Croydon/Waddon area many times and wondered where the building was. Thank you for the update. 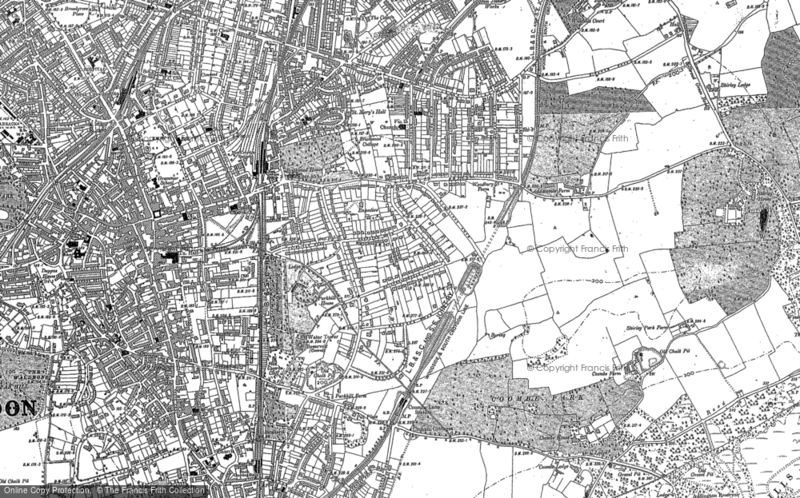 I of course remember Purley Way, and always spent much of the summer holidays there. Those diving boards were so high! I believe it is a garden/leisure centre now. Add a memory of Croydon.